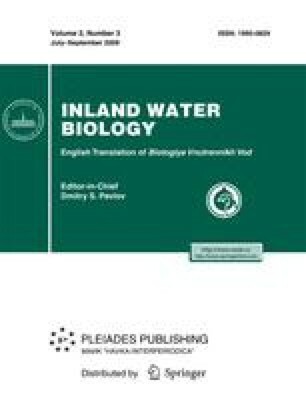 The influence of sublethal concentrations of Roundup (25 and 50 mg/l of the active compound glyphosate) was studied in the Daphnia magna Straus of successive generations. The toxic effects were assessed by the parameters of fecundity, quality of progeny, and linear sizes of daphnia, as well as by the activities of carbohydrases and proteases. The effect of the toxicant may be traced both in the parent specimens and in the specimens of successive generations. No adaptation to Roundup’s toxic impact was revealed for four generations of Daphnia magna. However, a considerable decrease in resistance to the herbicide was noted in the fourth generation when compared to the maternal line. Original Russian Text © G.A. Papchenkova, I.L. Golovanova, N.V. Ushakova, 2009, published in Biologiya Vnutrennikh Vod, No. 3, 2009, pp. 105–110.